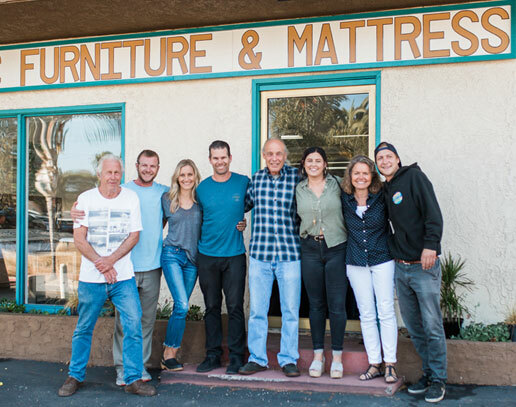 SC Furniture and Mattress, continuously owned and operated by the Ross Family, has been in business in San Clemente for over 60 years, since 1957. We sell new mattresses and furniture as well as buy, trade, salvage, recycle, and sell an eclectic mix of new & used home furnishings, office and patio furniture, antiques, appliances, collectibles, curiosities, and much much more! We offer same-day delivery and set up of all in-stock items. With over 10,000 square feet of showroom space, there is a lot to see and choose from! 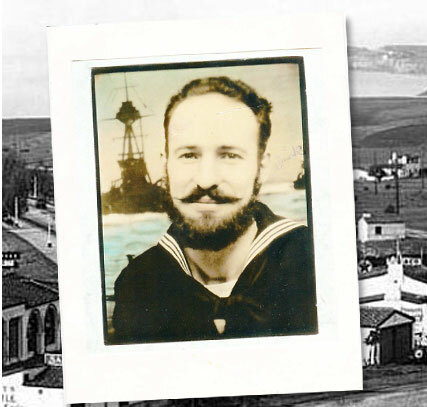 Richard Ross senior traveled through San Clemente while serving in the United States Navy. It was just a small Spanish Village by the Sea at the time, population around 500, but Richard made a mental note to return to beautiful San Clemente CA. 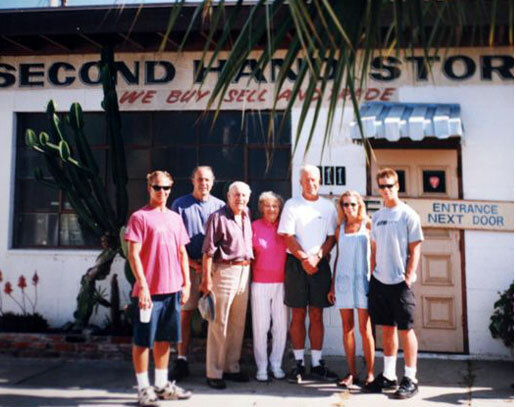 After a variety of successful business ventures, Richard Sr. and wife Alma along with their two sons, Richard and Dale, planted roots in San Clemente. 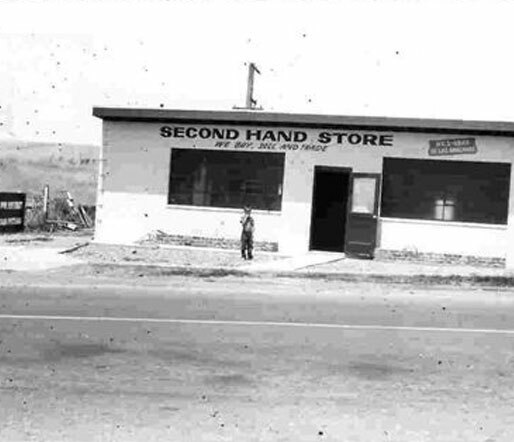 In 1955, Richard Sr. built the building and opened the Second Hand Store in 1957 at 111 Calle De Los Molinos, in the area known today as the Los Molinos Business District. When Richard and Alma retired, their son Richard Jr. and his wife Nancy took over operation of the business, eventually expanding to include the building at 107 Los Molinos. 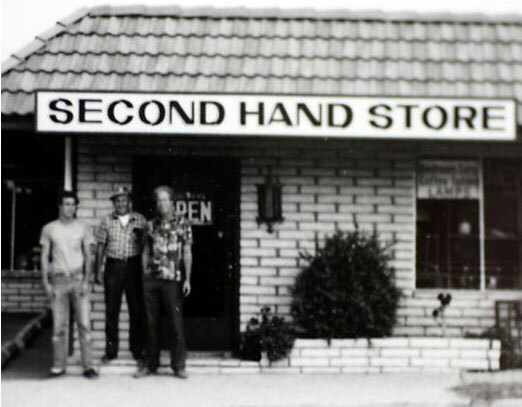 The employees were family… Richard’s brother Dale, and Richard & Nancy’s sons, John and Eric. When Richard and Nancy retired, Richard’s brother Dale and his wife Mary became owners. They kept it a family business by employing their nephews as well as Mary’s sister Helen, to serve their customers. They continued to serve San Clemente and the surrounding area, while emphasizing the shops ability to help customers recycle their things and think globally while shopping locally. When Dale and Mary retired they passed on the business to their nephew Eric, and his wife Sophia, who are the 3rd generation! Expect to meet their children, Noah, Gavin and Jane as they continue the Ross Family tradition of making San Clemente a fun place to shop! All the current Ross’ are striving to follow the family’s lead and vision for SC Furniture by providing quality, value, and excellent customer service each and every day! We invite you to come and experience the unique mix of the past merging with the present in San Clemente!